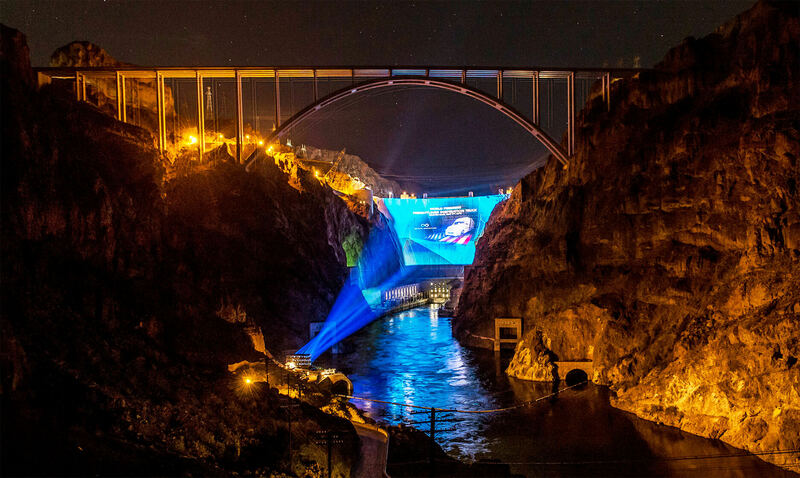 In May 2015, the spectacular world premiere of the Freightliner Inspiration Truck at Hoover Dam, in the desert of Nevada, caused quite a stir. 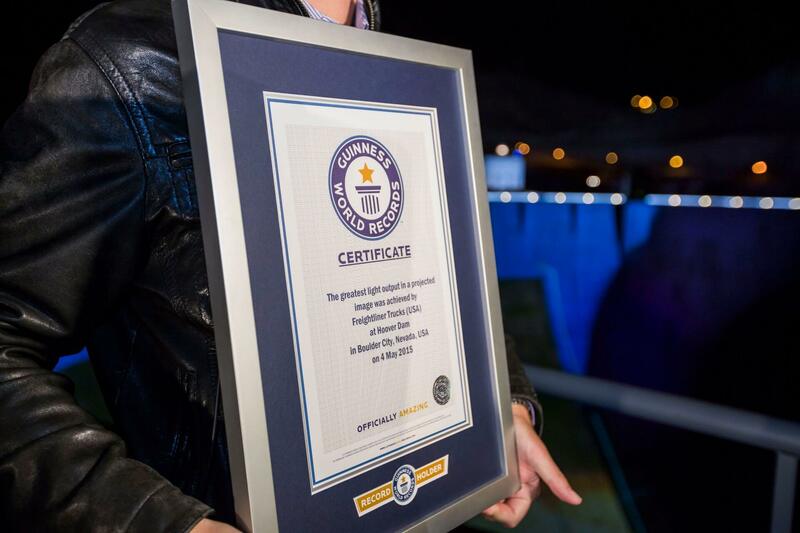 Worldwide, the presentation reached half a billion people in the media and in the internet. 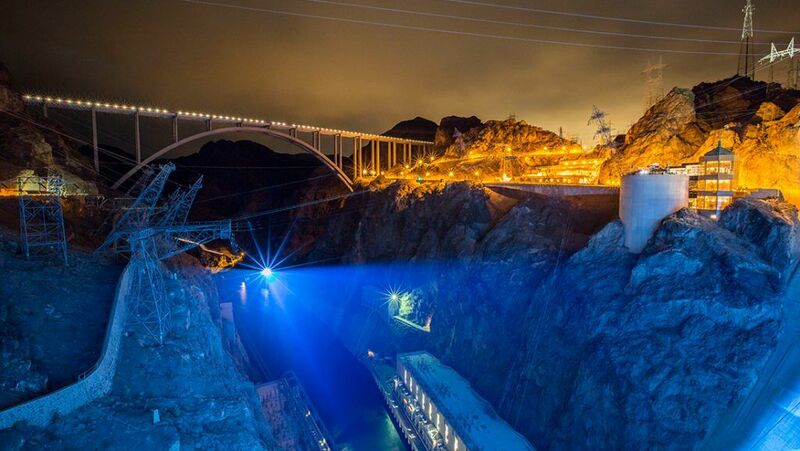 For the maiden voyage of the first autonomous truck with driving license, OSK made the Hoover Dam the largest drivable stage of the world. 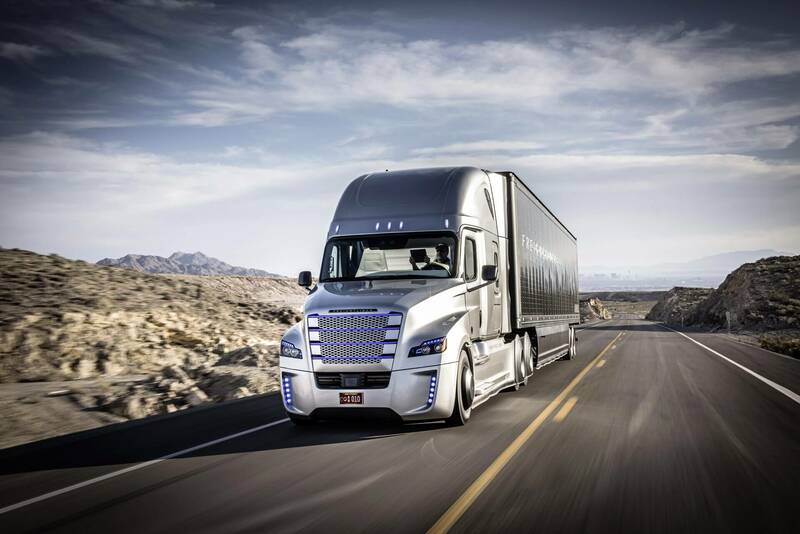 The iconic building, just like the truck, is an impressive example of visionary engineering. It had been made accessible for such an event by the authorities for the very first time. 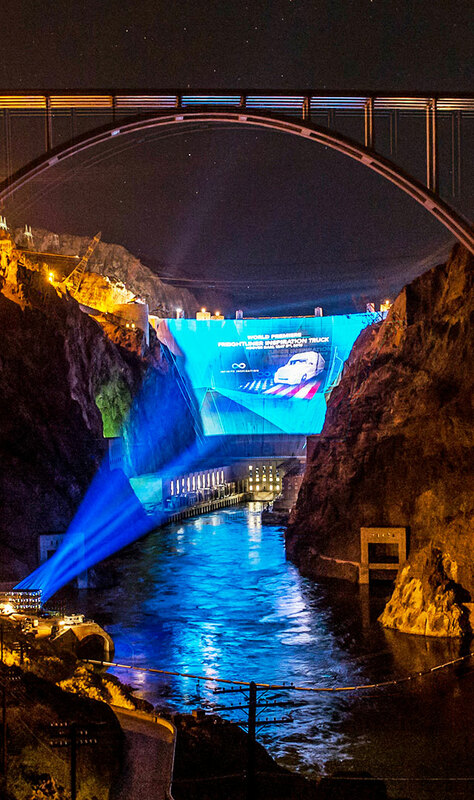 After dusk and in front of 200 invited international journalists, bloggers and multipliers, a gigantic projection brought the more than 200 meters-high dam to life – with 39.000 square meters it was wider than four soccer fields and by far higher than the Cologne Cathedral. 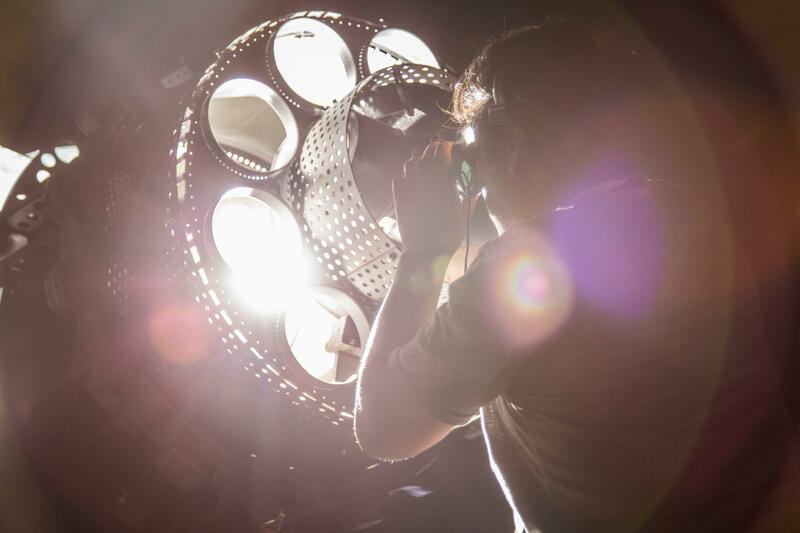 From a distance of 800 meters, 60 high-output beamers created a total light output of 1.17 million lumen. This is the highest value that was ever measured in this respect. The roughly 30 minute multi­media show presented an impressive succession of spectacular overture, live-images, charts and videos. The guests experienced a time travel from the origin of the significant monument in the 1930s to the future of mobility and transportation. 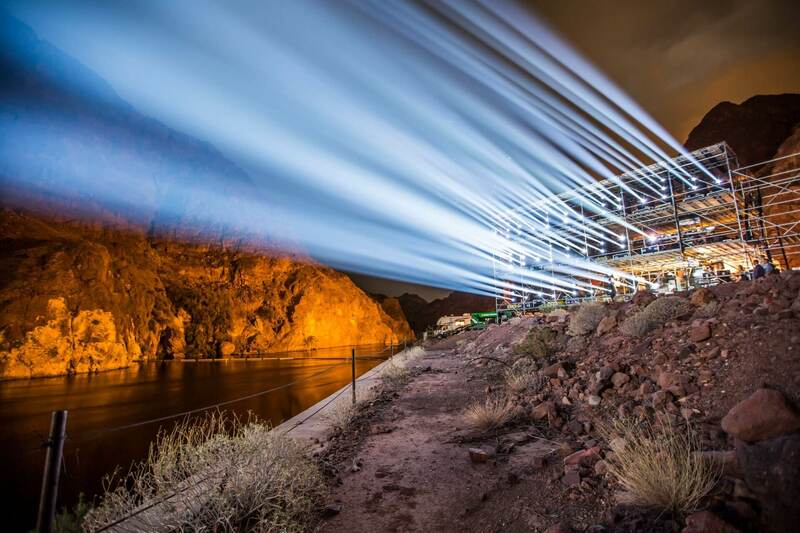 After that, the Inspiration Truck began its drive on the opposite shore of the Colorado River and come to a halt on the illuminated dam crest just in time for the crescendo of the production. The impressive maiden voyage of the Inspiration Truck had a huge impact on the international debate about autonomous driving and placed the discussion on self-driving trucks and their possibilities on the agenda. This way, Daimler impressively confirmed its leadership in the race for autonomous mobility. 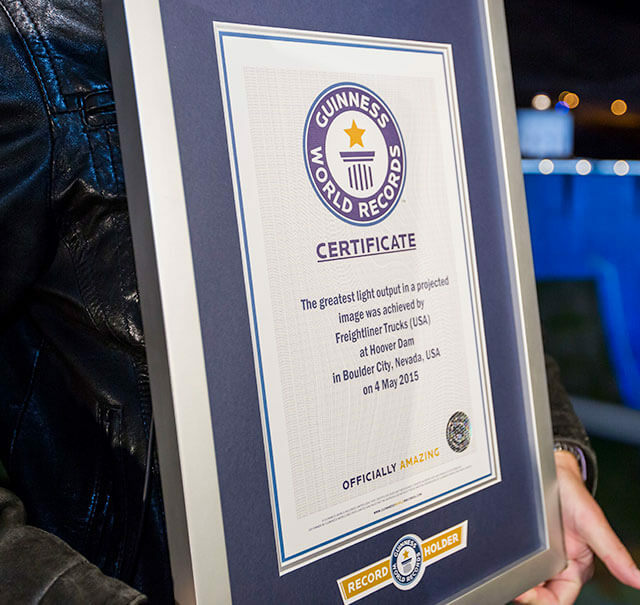 Still on site, the production was awarded an entry into the Guinness book of world records. With half a billion of crosschannel contacts, the world premiere became the biggest media success in the company history for Freightliner. In the meantime, it received numerous international communication prizes.